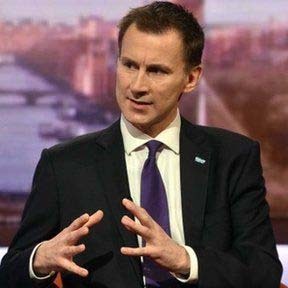 The Health Secretary, Jeremy Hunt, has acknowledged that this winter could be “very, very challenging” for the NHS, which means already stretched services will be tested to the limit. He made the comments on the BBC’s Andrew Marr Show and it is reported that throughout the winter the Department of Health will be monitoring the situation closely. While relatively mild winters have helped the NHS cope over the past few years, the Met Office recently warned of periods of very cold weather between now and Christmas. It may only take an extended period of bad weather and flu for hospitals to be pushed beyond capacity. NHS England figures have already revealed that attendances at A&E units and emergency admissions are up nearly 4% over the past 12 months. Demand on A&E services will only increase as the winter draws in. What could be of bigger concern is the impact on social care. During the Christmas holiday period community healthcare tends to shut down. This can cause delays in transferring patients out of hospital beds and into social care in the community, which puts more strain on hospitals and creates a backlog. The health think tanks, Nuffield Trust, the King’s Fund and the Health Foundation, have warned of the “critical” state of social care. Funding cuts and the availability of accessible care have resulted in “significant human and financial costs on older people, their families and carers”. This has left people stranded in hospital and it will only get worse during the winter. The impact on hospitals this winter is a worry – staff are already under severe pressure and the winter strain on a busy, underfunded and short staffed NHS can lead to errors and missed diagnosis – but social care is often the invisible casualty. Social services run by local councils are widely regarded as out-dated and unfit for an aging population with people living longer, often with multiple conditions and dementia. Dementia and Alzheimer’s have overtaken heart disease as Britain’s biggest killer. Care homes and community health services now have a more challenging role in society but this area of healthcare is underfunded and understaffed. This will affect quality of care and the winter will only bring with it further staff shortages with sick leave and the Christmas holidays. Temporary or undertrained staff will be used to plug the gap, which is when errors, omissions and neglect can occur. The most common consequences in social care cases of negligence that we deal with are pressure sores, medication errors and falls. We’ve also dealt with cases of late referrals for treatment, dehydration and malnutrition. Family members, neighbours, friends, carers and others should be vigilant over the winter period and report any concerns to their local council social services. The standard of care in a home or community setting has a huge impact on both the elderly person and their family. We know how negligence or abuse can cause untold upset and damage for everyone involved. We specialise in care home neglect and mistreatment, and we can help deal with both the technical and emotional side of a complex area of law. The Serious Injury Helpline will be with you every step of the way if you decide to take action on behalf of a loved one who did not receive the standard of care they deserved.